A pickup truck needs plenty of power under the hood, and the all-new 2019 RAM 1500 at our Nashua area dealership has more punch than ever. With three engines available, including two HEMI® V8 choices, it’s easy to tackle tough loads. A maximum towing capacity of up to 12,750 lbs gives you plenty of towing power, which you’re sure to enjoy on workdays and weekends alike. Even better, each powertrain is completed by a standard TorqueFlite® eight-speed automatic transmission. With optimized shift changes, this transmission helps you handle heavy loads with better control than ever. The engine bay isn’t the only new element this year. The 2019 RAM 1500 also sports a brand new look, which is sure to have you rushing to check out the latest RAM specials at our Nashua area dealer. An incredible sense of style is centered around an elaborate grille–the perfect complement to its bold stance. Of course, the design also prepares you for heavy-duty work; the bed takes big loads with ease, including 4×8 plywood sheeting. That space remains even when you opt for the convenience of the RamBox® system in the bed walls. The 2019 RAM 1500 is always up to the task. Brute strength goes a long way in a truck, but brains are always appreciated, too. Fortunately, the 2019 RAM 1500 at Contemporary Automotive has you covered on both fronts. An available largest-in-class touchscreen checks in at 12 inches; yes, that’s a full foot. This makes it the perfect way to control all of your favorite features, from navigation to entertainment. As for staying connected on the go, using your smartphone hands-free is a breeze, too. A full-size pickup is relatively safe by default, but RAM doesn’t rely on size alone when it comes to your protection. The 2019 RAM 1500 offers advanced active safety features, such as Blind Spot Monitoring, Rear Cross Path and Trailer Detection, LaneSense® Lane Departure Warning–Plus, and Adaptive Cruise Control with Stop and Go, to keep an eye out for you from virtually every angle. Navigating tight quarters is easier, too, with available Parallel and Perpendicular Park Assist taking the tough part out of parking.  To learn more about the 2019 RAM 1500, or to schedule a ride in this all-new pickup at Contemporary Automotive, be sure to contact us by calling (844) 500-6722 today.